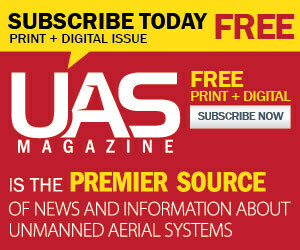 A U.S. Department of Transportation (DOT) plan to require the registration of unmanned aerial systems (UAS) before mid-December is drawing approval and criticism from the UAS community. Continued research on the HorseFly package delivery system being developed by Workhorse Group Inc. and the University of Cincinnati (UC) has been approved under a certificate of authorization (COA) from the FAA. Sentera LLC is offering growers flying the DJI Phantom 3 Professional drone an upgrade that provides real-time visibility of crop health data to create a precision agriculture scouting tool. The U.S. Small Business Administration has awarded $500,000 to the unmanned aircraft systems sector in Oklahoma and southern Kansas. The funding will be used to attract new tech and venture capital to the region. Research to provide the Federal Aviation Administration with information to integrate unmanned aircraft systems into the air space is under way at Embry-Riddle University. The Academy of Model Aeronautics has launched a public awareness campaign to show the world about the wonders of flight, including the safe and responsible use of hobby drone aircraft.